There is a special magic experienced as you welcome a new puppy into your family. We aim to help you to keep that magic alive by offering bespoke Puppy Training Packages to suit individual needs. Choose which services suits you and your family best and book in advance to reduce cost. Select your chosen package and book it. You will be given a code to reserve appointments for your chosen services and directed to the diary to book straight away ….. or at a later time when you have checked yours and your family's availability. WHAT OPTIONS ARE AVAILABLE FOR YOUR PUPPY PACKAGE? 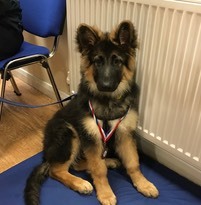 A Home Visit can help you to prepare BEFORE your puppy arrives? Helping your puppy to settle in his bed or crate. You might prefer a Home Visit AFTER your puppy arrives? 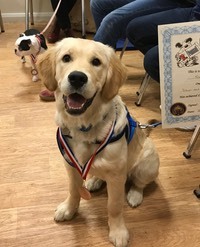 In addition, a Puppy Course of either six group sessions or three private lessons would help socialise your puppy and progress your training further. KENNEL COUGH VACCINATION IS NOT REQUIRED TO ATTEND PAWS’N’LEARN STUDIO. However, if your dog has been given Kennel Cough vaccine - 7 days must elapse without any snuffling, sneezing or coughing before they can attend Paws’n’Learn Studio for any reason whatsoever. The 7 day rule applies if your dog has been in contact with another dog who has kennel cough.